The Lord will not break His covenant and promises towards you. He is a promise-keeping God and fulfills every word He speaks. 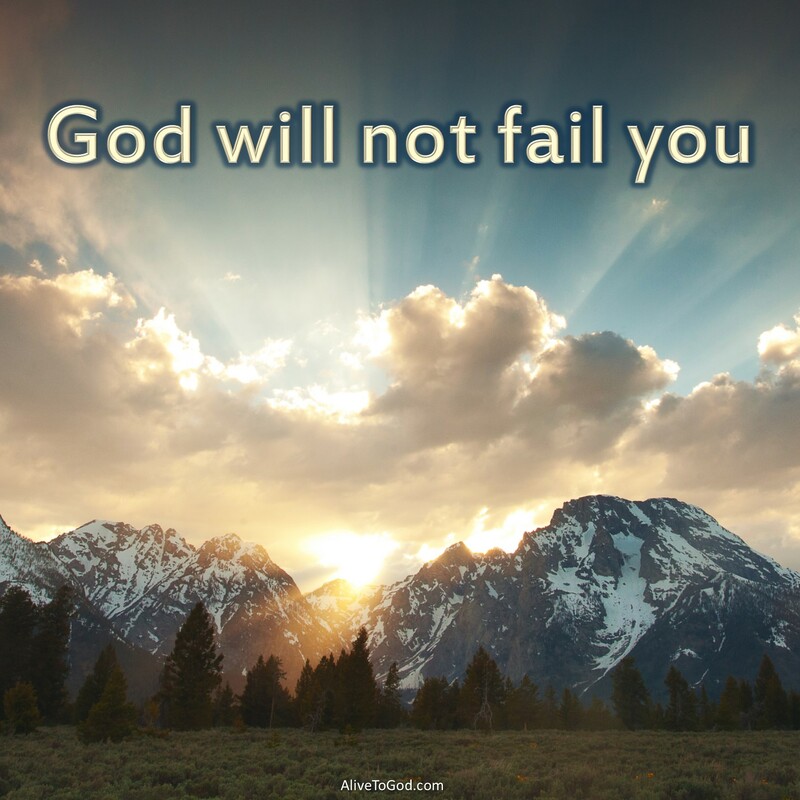 It may not work out exactly as you had planned, but He will not fail you. He is the faithful, trust-worthy and covenant-keeping God. Prayer: Lord, thank You for Your covenant of peace over my life. I remind myself of Your faithfulness and I celebrate the truth that You can be completely depended upon. Amen. Die Here sal nooit Sy verbond en beloftes teenoor jou verbreek nie. Hy is ‘n God wat Sy beloftes nakom en Hy vervul elke woord wat Hy gespreek het. Dit mag miskien nie presies uitwerk soos wat jy beplan het nie, maar Hy sal jou nie faal nie. Hy is die getroue, betroubare God wat Sy verbond nakom. Gebed: Vader, dankie vir U verbond van vrede oor my lewe. Ek herinner myself aan U getrouheid en ek vier die waarheid dat ek volkome op U kan staatmaak. Amen. El Señor no romperás Su pacto ni las promesas que te ha hecho. Él es un Dios que cumple sus promesas y que lleva a cabo cada una de las cosas que dice. Puede que no sea exactamente como lo planeaste, pero Él no te fallará. Él es fiel, confiable y un Dios que cumple sus promesas. Oración: Señor, gracias por tu pacto de paz en mi vida. Recuerdo Tu fidelidad y celebro el hecho de que puedo depender completamente de Ti. Amén. Le Seigneur ne violera pas son alliance et ses promesses envers toi. Il est un Dieu fidèle à ses promesses et accomplit chaque parole qu’il déclare. Cela peut ne pas être exactement comme tu l’as prévu, mais Il ne te décevra pas. Il est le Dieu fidèle, digne de confiance et qui garde son alliance. Prière: Seigneur, merci pour Ton alliance de paix dans ma vie. Je me rappelle de Ta fidélité et je célèbre la vérité dont tu peux être complètement dépendant. Amen. Ang Panginoon ay hindi babaliin ang Kanyang kasunduan at pangako sa iyo. Siya ay isang Diyos na matapat sa Kanyang pangako at tinutupad ang lahat na salita na sinabi Niya. Hindi man ito natupad exacto ayon sa iyong plano, pero hindi ka Niya bibiguin. Siya ay tapat, mapapagkatiwalaan at tumutupad sa kasunduan Diyos. Ngeke ngiliphule iqiniso lami.ngeke ngiwabuyisele amazwi ami engiwashilo. Ujehova ngeke asephule isethembiso asenze kuwe. Kungenzeka ngendlelaosuke uhlele ngayo wena.